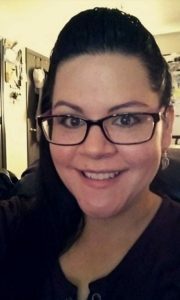 Stephanne Rupnicki has received the Tribal Trailblazer Award from the United States Breastfeeding Committee in recognition of her leadership and collaborative efforts to support breastfeeding families in the Prairie Band Potawatomi Nation. Rupnicki was one of only seven individuals to receive this prestigious national award. The Tribal Trailblazer Award is given to talented and dedicated individuals who are new, emerging, or aspiring breastfeeding leaders, actively promoting maternal and child health, and breastfeeding support in their Tribes. This honor recognizes individuals of American Indian/Native American and Alaska Native heritage. Stephanne is an active member of the Kansas Breastfeeding Coalition. We are proud of her accomplishments and to have been able to support her work. Her passion and dedication for helping breastfeeding families in her community exemplifies the work of KBC members across the state striving to build a culture of breastfeeding support in Kansas.